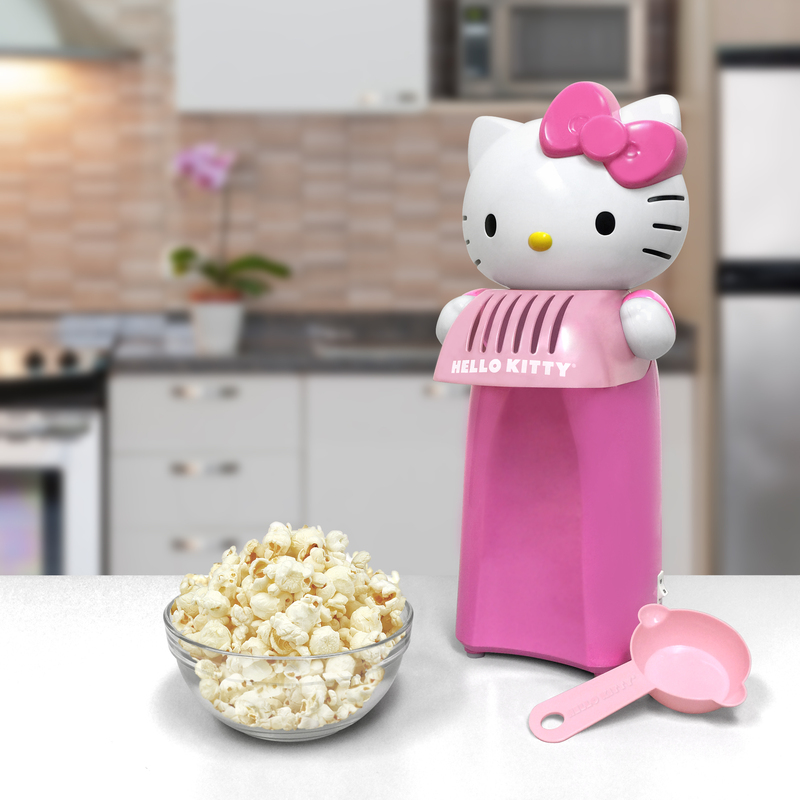 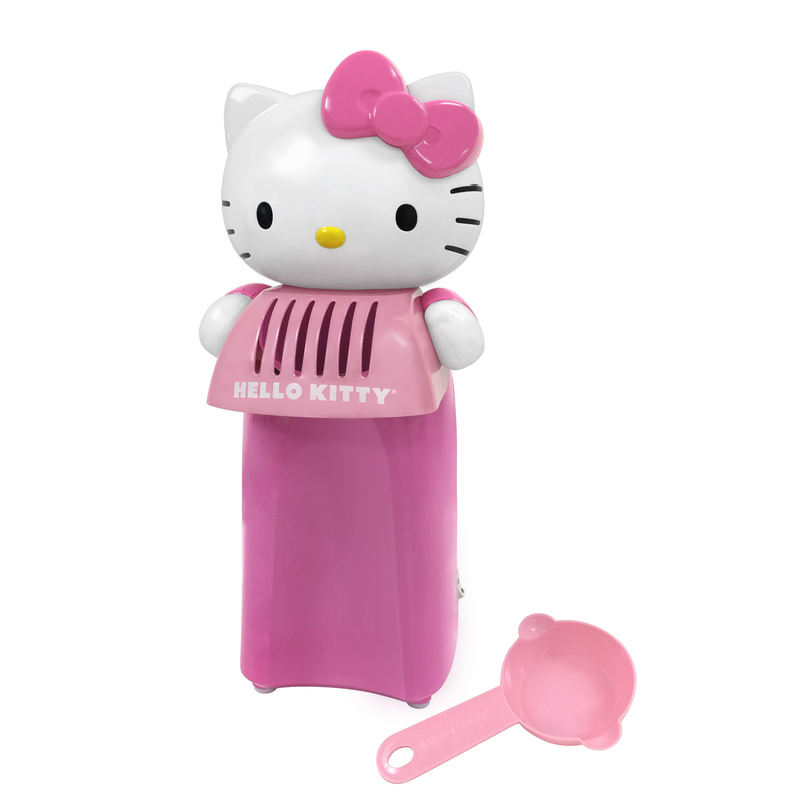 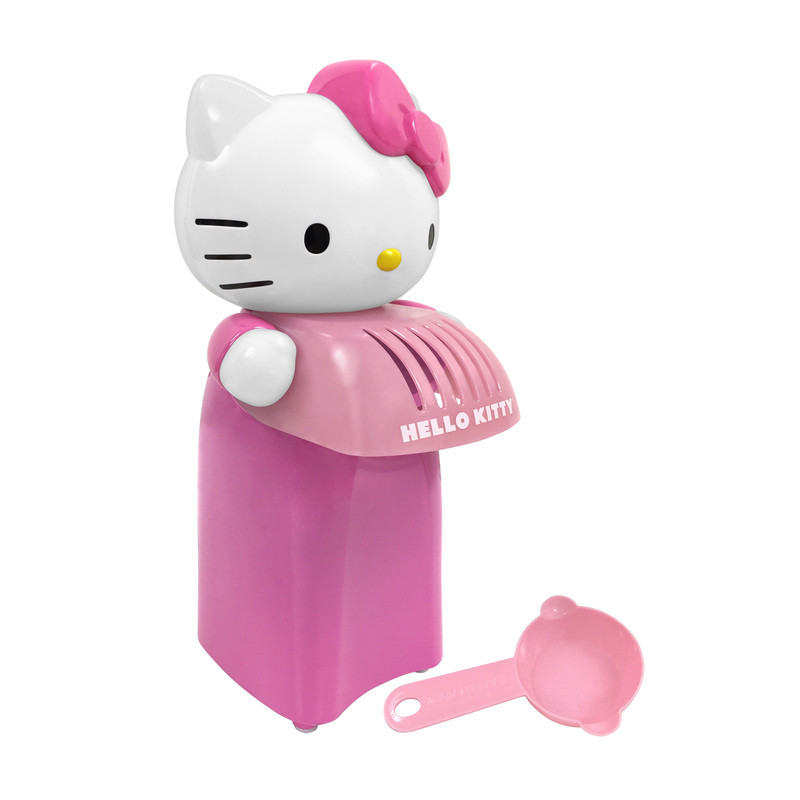 Just about everyone loves popcorn and that certainly includes Hello Kitty. 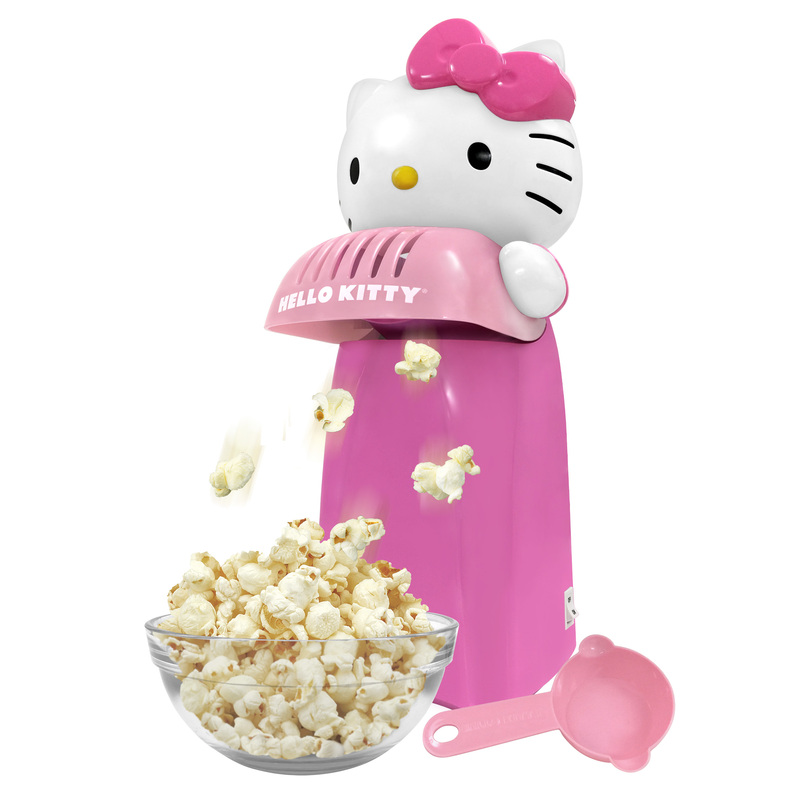 This hot air popcorn maker is simple to use and can have you warm, tasty popcorn ready to eat in minutes. 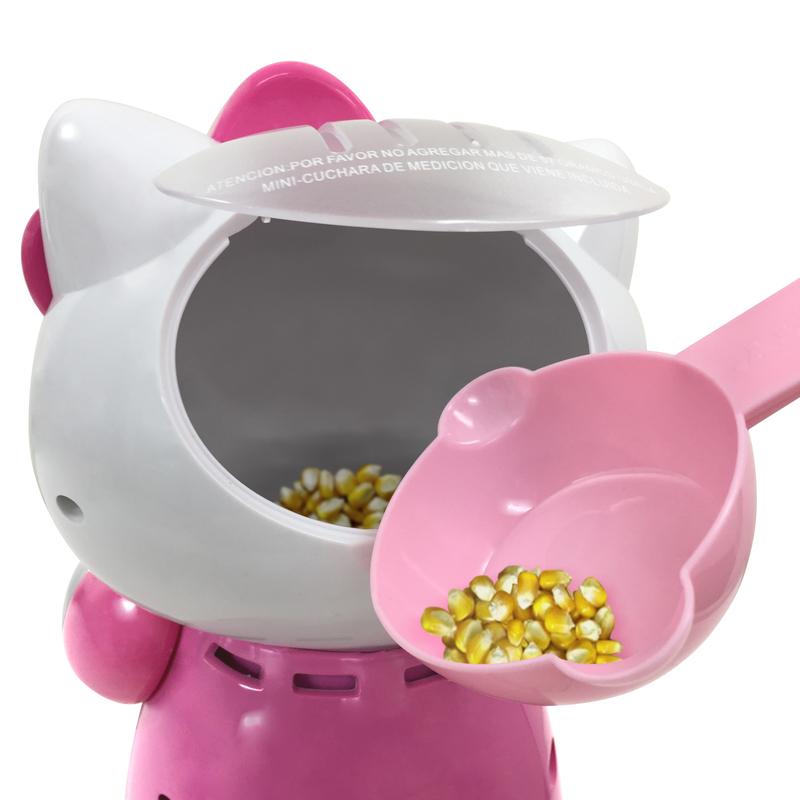 There is a domed cover just above where the popcorn comes out to help find its way to the bowl or container you select to put it in. 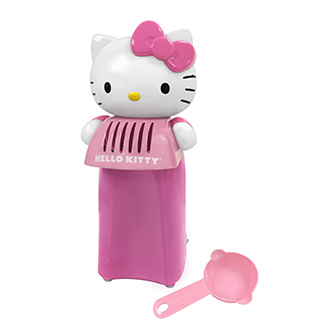 As a great safety feature, the popcorn maker will not work unless it is assembled properly and non-slip feet mean it won’t be moving around in operation.